Supermensch is a largely anecdotal examination of Gordon’s life and career as stars/clients/friends such as Alice Cooper, Michael Douglas, Tom Arnold, Anne Murray, and even Myers himself describe their memories with the manager. The film explains Gordon’s roaring entry into the world of show business by recounting his first gig landing Alice Cooper by a good mix of happenstance, gusto, and weed. Supermensch cuts back and forth between Gordon and Cooper as they relate shared stories—both clearly have strong affection and admiration for the other—and explain how Gordon’s semi-crazy business savvy helped launch one of rock’s most iconic careers. Supermensch spends a good deal of time chronicling Gordon’s success as Cooper’s manager. The film recounts hilarious publicity stunts to provide an insider’s glimpse into the stresses of the entertainment industry, as well as the bold steps one must take to rise to the top. The stories about Gordon’s work with Cooper and company highlight the manager’s own taste for the fast life, but everyone is involved is quick to note how Gordon never forgets to return a favour or payoff a debt. The Alice Cooper-heavy introduction gets Supermensch off to a mixed start if any doc fans in the audience happened to catch this year’s Alice Cooper doc Super Duper Alice Cooper. Super Duper, which debuted months after Supermensch premiered at the Toronto International Film Festival last fall, gets an unfortunate head start over its colleague as both films rely heavily on the same stories, successes, and iconic images that propelled Alice Cooper to stardom. Super Duper Alice Cooper could easily have ripped the audio from the interviews of Supermensch, since none of the interviews in the Cooper film feature onscreen talking heads as their words play atop archival images. Supermensch therefore carries a heavy air of familiarity (as does Cooper), for many success stories in the film are part of pop culture lore. It is undeniably interesting, however, to see the success of a man greatly defined by the success of others. Supermensch catalogues a who’s who of A-list talent as stars recall the personable charm that Gordon used to launch their stardom. The film gives audiences insight Gordon’s ability to manipulate the celebrity machine to make a square a star (ex: the sequence that highlights how Anne Murray fits in the same client list as Alice Cooper and the like) and his ability to invent new stars using appeals of taste and consumerism (ex: the invention of the celebrity chef). Stories about cooking for the Dalai Lama in Hawaii and wooing Sharon Stone in Cannes reveal divergent aspects of Gordon’s broad yet likeable personality and they illustrate the different facets of charm, personality, and boldness it takes to rise to Gordon’s stature. Not one interviewee speaks a bad word of Gordon during the eighty-four minutes of conversations Myers presents. 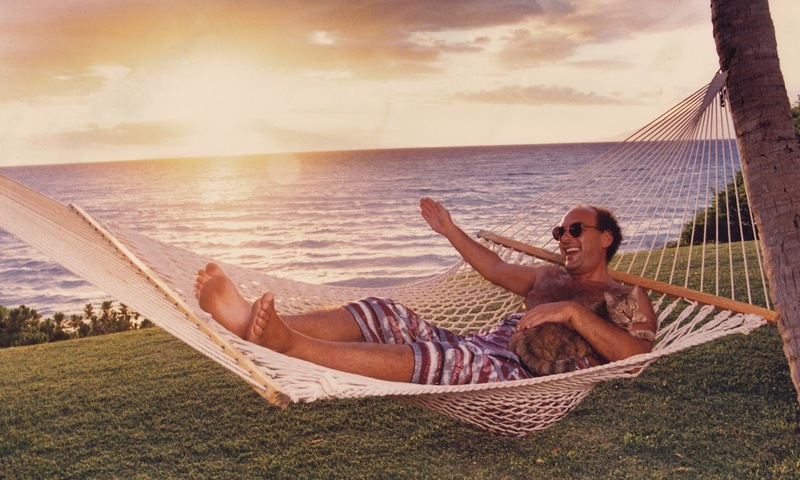 Whether one takes Supermensch as a “greatest hits” biography or as a genuine account of an all-around stand-up guy is up to the viewer, but the jovial air of camaraderie in the film should incline one to the latter. It’s easy to see how the film portrays Gordon as Hollywood’s “supermensch,” as the film features a quick interlude in which various interviewees use the Yiddish word to define Gordon’s character. The roster of celebrities alone says a lot about Gordon’s character as Supermensch cuts them gushing together in unanimity. He is, in short, a real mensch! Supermensch reveals little of Gordon himself, though, outside these stories of successful clients and friendly parties. Only towards the end of the film does Supermensch really analyse its subject in depth. It’s an unexpectedly jarring moment when the film details a serious operation that gave Gordon a slim chance at survival and then cuts to the one person who was by his side—his paid assistant—as she tearfully recalls his time in the hospital. Her interview comes shortly after Gordon’s own ramblings about his desire to have children. This late-act turn of Supermensch ultimately reveals the emptiness and the artificiality of celebrity, since various parties in the film, including Gordon himself, suggest that fame and fortune are not the hallmarks of success. Supermensch nevertheless gives audiences a good time as it creates a portrait of a man who found success as the life of the party. All these famous faces and juicy stories make for a fun insider’s look at the entertainment industry. Above all, though, Supermensch humanizes the people behind the celebrity machine as it defines a man’s worth by his character. Supermensch is now playing in limited release from eOne Films. It opens in Ottawa at The Mayfair on Friday, July 18. What did you think of Supermensch?